Date March 28, 2019 . 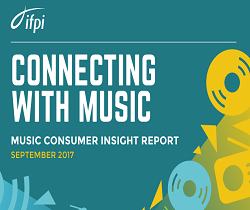 We note the inaccurate claims publicly made recently in relation to the music licensing process in Ireland and welcome the opportunity to provide this clarification. The licensing process for copyright music ensures that businesses which benefit from playing music, like any business service, pay for its use. That payment is important because it ensures that the people who work to create music – composers, songwriters, singers, their publishers and performers – get paid for their work. That is a legitimate ask from anybody who works – to be paid for their effort and product – and it is governed by Irish law. The cost of obtaining an IMRO Dual Music Licence varies from premises to premises. Under law, two distinct permissions are required by businesses in Ireland who play music – one which covers the public performance of the musical work on behalf of composers, songwriters and music publishers and the other which covers the public performance of sound recordings on behalf of record producers and performers. Up to 2015 these licences were administered separately by IMRO and PPI respectively. However, as of January 1st 2016, both distinct licences are included in the Dual Music Licence administered by IMRO. IMRO charges have not increased by 500% since the introduction of the Dual Music Licence. The Dual Music Licence tariff for cafés and restaurants has only increased by 1.21% over the last four years i.e. since 2016. All of our charges are linked to movements in the Consumer Price Index (CPI) which can move upwards and downwards. A number of years ago, we streamlined the licensing structure with IMRO now also administering the PPI licence (which ensures that record companies receive payment), and this structure has been clearly communicated to those who pay a licence. IMRO only takes legal action with non-compliant licensees and commercial users of music as a very last resort and only after every other opportunity for payment has been explored with the respective business using music. 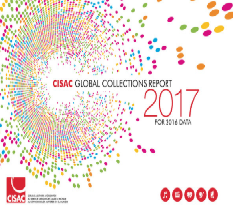 Copyright is enshrined in international law. IMRO has reciprocal agreements in place with over 80 sister societies throughout the world ensuring that creators rights are protected worldwide when their music is publicly performed by businesses. We would like to acknowledge that the vast majority of businesses in Ireland who play copyright music in their premises pay for its use. And they value the benefit that music brings to their businesses in terms of attracting consumers, improving the consumer experience, and positively impacting sales. IMRO is a not for profit organisation and the vast majority of licensing revenues generated is returned to music creators. The remainder goes towards our administration costs (which are currently 15%), investing in innovative data and technology to improve our members’ experience, and sponsorship and promotion of local music festivals and events around the country each year. Our accounts are published and available on our website. At IMRO, we believe music matters. We cherish creativity, protecting and promoting music, not just for the benefit of the music creators, but for the benefit of who we are as a society. We value music not just to sustain it and to grow it, but because music unites us and is fundamental to who we are. We are proud to say that we stand up for music and the people who make it and perform it. 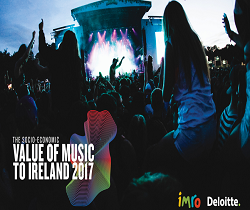 Finally, it is important to note that the Irish music industry contributes over €700 million (€703 million) to the Irish economy annually (latest figures 2015) and supports more than 13,000 jobs (13,130) in Ireland.